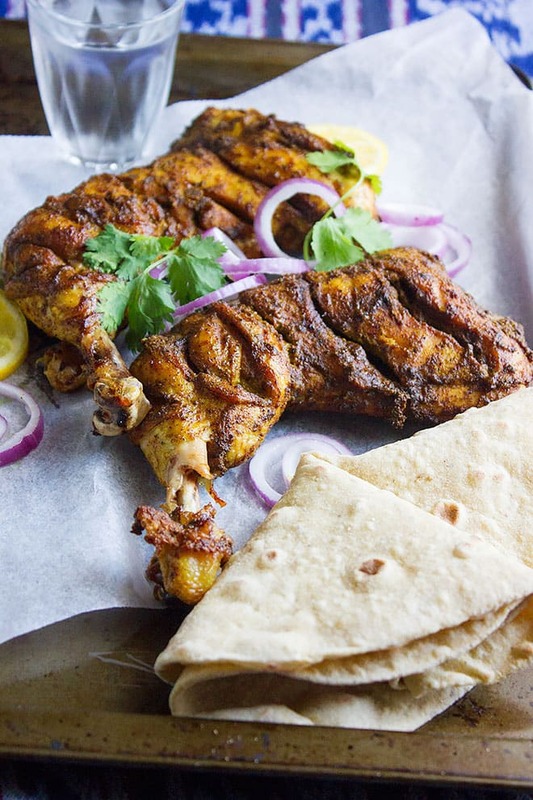 I love chicken tikka, it is healthy and the blend of spices add so much depth to the flavor, above all the only time it takes is when grilling and marinating. An Indian delight found its way to our hearts easy! If you had this dish in different restaurants, you might have noticed the different flavors. In India, the recipe for chicken tikka is modified depending on the state. In some recipes, there is yogurt, in another, there is lemon juice, in some, there is a mixture of garlic and ginger, so as you can see, there won’t be much change in the recipe yet it makes the taste a little different. How to make the chicken tender. Marinating the chicken is a very important step, the more you leave it to marinate the more tender it becomes after it is cooked. 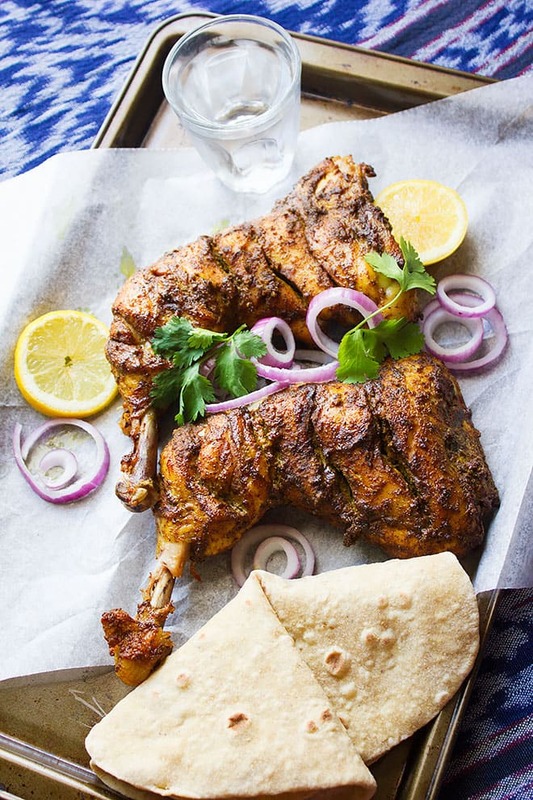 Chicken Tikka can be served with rice but mostly served with butter naan bread and paratha. Some prefer less spice, therefore, this recipe for chicken tikka has great flavor and is not over seasoned. 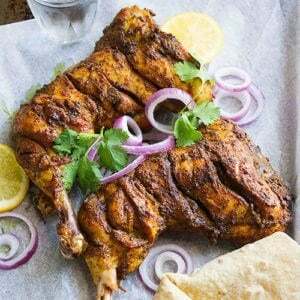 You can place the marinated chicken on paper towel to remove some of the seasonings if you wish, the chicken tikka will still taste amazing. I didn’t use oil or butter in this recipe, I believe that chicken tikka is delicious even without the fat, but you can brush the chicken tikka pieces with butter when done for more flavor. 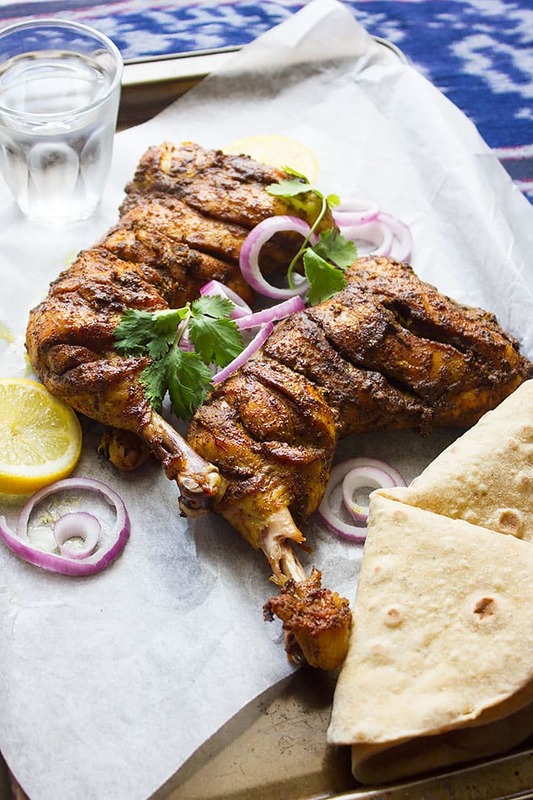 Chicken tikka can be grilled outdoor but can be cooked in the oven too. If you prefer to use the oven, make sure you have a grilling pan that you can safely use in the oven or a broiler pan with a rack. In case you are using a broiler pan, make sure to keep around half a cup of water in it to prevent the pan from burning. In a bowl add all the ingredients except the chicken. Mix well. Make long cuts on the chicken thigh and leg then add to the mixture above. Marinate in the fridge for at least 1 hour. If you want to cook the chicken in the oven, preheat the oven to 450F/ 230C. Place the chicken on a grill or broiling pan with a rack. Add ½ cup water in the broiling pan to prevent the pan from burning the oil dripping from the chicken. Place the chicken on the rack. Place the pan on the lowest rack of the oven. Flip chicken every 15 minutes. Cooking the chicken will take 1 hour to 1 hour and 15 minutes depending on how big the chicken is. Cover the chicken for 6 minutes. Brush with butter if you wish and serve with Indian bread, or butter naan bread. This chicken looks so beautifully cooked. Wonderful and delicious recipe! And the best part is, this Chicken Tikka take a little effort to prepare! This is an interesting recipe! Love your pictures, the food seems so delicious! 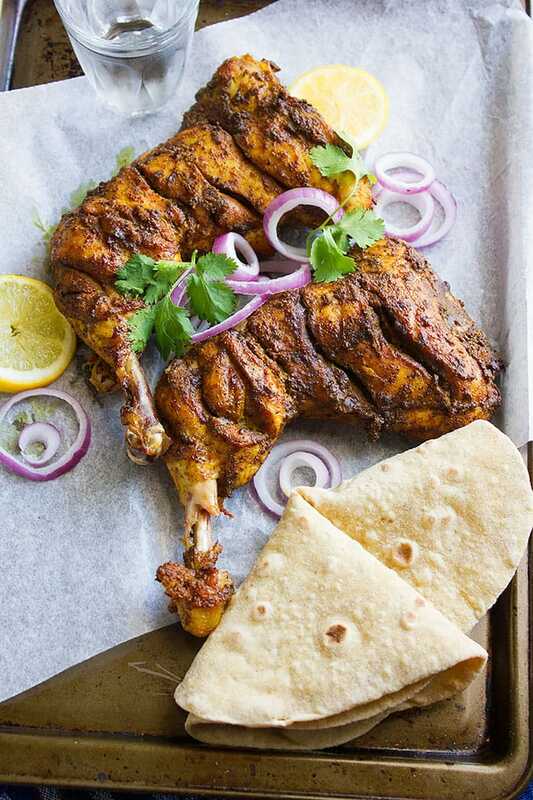 Love chicken tikka, I am fond of the rich spices that make it so delicious. I have even tried the readymade Pakistani spice mixes… A tad too spicy though. Amazing recipe here. I usually add a little oil while marinating. Looks absolutely delicious! And the perfect picture too, just like it was made in a classy restaurant! This is one of my favorite! Loving the recipe! Can’t wait to try it! SINCERELY OPHELIA | SHOPAHOLIC?! Counter attack! I love the recipe here. It looks absolutely amazing. I love my chicken recipes but I have never cooked it like that before. I imagine with all those spices it will have an amazing blend of flavors in your mouth with the chicken. I will have to try this out. I’ve been seeing a lot of Chicken Tikka recipes nowadays! I must have missed the memo, looks like it’s the new favorite. What makes this recipe unique though is that you cooked it without the fat! I really appreciate that. MMm now this is my kind of recipe! Gorgeous blend of seasonings this, I’ll have to try it out soon! Wow this looks amazing! I know if I try to make this myself, It wont look half as good as yours does! Hey Jessica, the best part is it will look exactly the same 🙂 give it a try! I don’t eat meat but I think my husband likes this dish at restaurants. And he’s a pro cook so I’m betting he can pull this recipe off…I’ll share with him! Thanks Elizabeth, chicken tikka is so easy to make, your husband will for sure make it perfect! How timely! Am currently weaning off red meat, looking for simple but tasty fish, turkey, and chicken recipes. Yours is a winner! I love that you use cinnamon and turmeric. My favorite spices 🙂 Thanks. Hey Mercy, thanks for stopping by, I’m glad that you liked my recipe! Oh yum. This chicken looks so good. My husband and I are huge chicken eaters and always trying to find different ways to make our meals! We are going to have to try this chicken meal! You won’t regret it 😀 this is an easy recipe for chicken tikka and the taste is awesome! This looks AMAAAZING!!! I am definitely trying this. 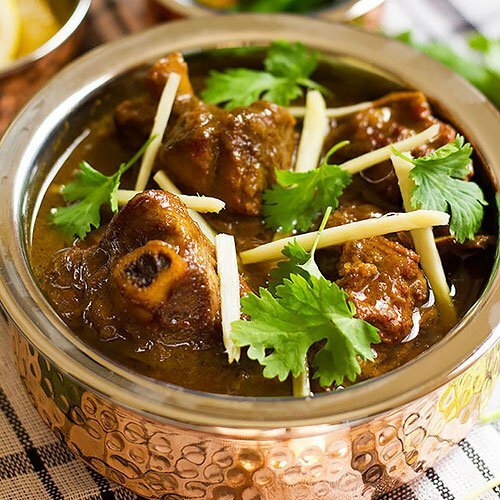 I love Indian food and this looks awesome! Being Indian, I always pay attention when I see the word Tandoori. You have a great recipe here and your pics look so good.